In fact, I’d go so far as to say this: Don’t allow anyone in your house to use the word “poor” when describing your economic situation — even when times are pretty lean in the household. Some Des Moines families might be broke– but that doesn’t mean they’re poor! It’s more than semantics. The word “poor” seems to connote inferiority, or having some unfortunate circumstance. We don’t have to accept that paradigm. Sometimes, families simply spend more money than they earned and have to live on far less to turn things around. They may have been foolish, but they don’t have to be poor! When I was growing up, money was taboo. Many Des Moines parents would no more talk about money with their children than they would their love life. 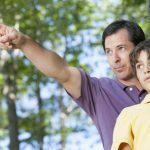 While this is still true to an extent, I think most of us have recognized that kids need to eventually become more aware about the potential financial pitfalls out there than we were in my generation.